Within the Kumulipo, a Hawaiian creation chant, the origin of life begins with ‘āko‘ako‘a, a single coral polyp which evolves into the land and all life that inhabits it. This notion of coral as a diverse collective of individuals growing over generations illustrates the ambitions of the Barack Obama Presidential Center to become a catalyst for growth and community in Hawai‘i, where the president was born and raised. Much like the polyp, the Center has the unique opportunity to create a new environment that encourages assembly and creates shared community resources. 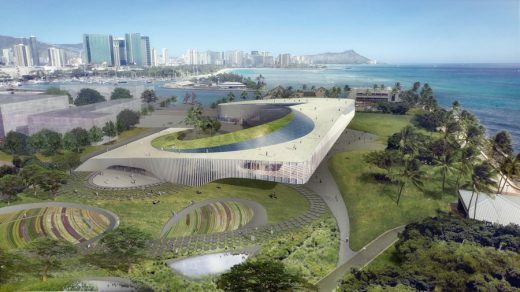 Snøhetta and WCITARCHITECTURE’s design proposal for the Barack Obama Presidential Center Based on the Hawaiian ahupua‘a system of resource management, the design incorporates sustainable solutions in the performance and program of the building. 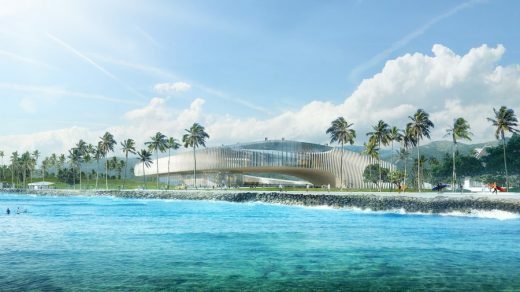 The landscape design includes interactive educational environments such as the White House Garden, fish ponds, taro fields, and salt pans to promote understanding of traditional practices and renew kinship with the land. The occupiable roof also supports a photovoltaic panel system to generate on-site renewable energy. The roof’s upward spiraling shape allows rainwater to be collected and flow down through the roof gardens for filtration before entering rainwater storage for later use in irrigating the edible gardens and feeding the fishponds. 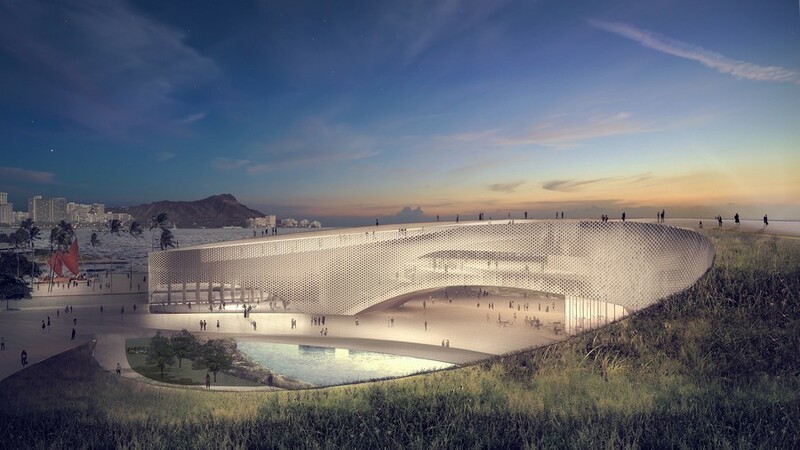 To offset potable water demands, an engineered wetland in the central courtyard is proposed to treat waste water for recycling at the Center. 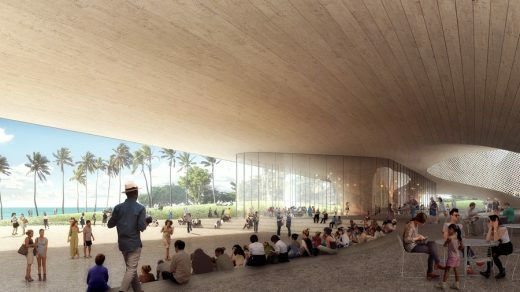 The Barack Obama Presidential Center will house exhibit spaces to share the life and legacy of the president, Executive offices for the Barack Obama Foundation, as well as shared meeting rooms and administrative facilities for an affiliated Leadership Academy, Convening Institute, and University of Hawai‘i Center for Community Organizing. Among the many public spaces housed in the new Center, restaurant and event spaces on the ground floor open onto large covered outdoor terraces with oceanfront views.